IKEA products inherited the Nordic full of humanistic design style, to be close to the people of the price, by the young domestic favorite. In addition to cheap and cheap, the sustainability of IKEA has been advocating the way of life. Recently, IKEA home and the Swedish design company Form Us With Love (hereinafter referred to as “FUWL”) jointly launched the first 100% recycled materials made of environmentally friendly cabinet series – Kungsbacka. Kungsbacka’s basic structure is built from recycled industrial wood and then “coated” with a coating made from PET plastic bottles. According to reports, every 25 500 ml capacity plastic bottles can meet the 40cm * 80cm size of the coating needs. While environmental protection is important, but as Kungsbacka wants to be successful in the marketplace, it must meet two conditions – the design is beautiful and the cost is reasonable. And this is the design team in the development process focus on the need to solve the problem. Color, the design team chose a more engaging, and has a texture of matte carbon black, and the cabinet corner handle softer, add a “human touch.” Moreover, the series continues the modular nature of IKEA products, more flexible with the needs of different kitchen space. We hope it can be like a black T-shirt-like, fit, practical, and still people want to cherish. FUWL team creative director explained so. When it comes to recycling materials, many people think of the keywords may be “cheap”, but the fact is just the opposite. In many cases, the cost of processing recycled materials tends to be higher than the cost of purchasing new materials. Therefore, FUWL, Italian material supplier 3B and IKEA in the product design, the cost will be spent more in the material research and development part, the final success of the production costs will be pressed down, but also to ensure that the product life cycle can reach 25 years (Form), Function, Quality, Sustainability, and Low Price, which are set for IKEA products. In February, IKEA bought a 15% stake in the Dutch plastics recycling company called Morssinkhof Rymoplast Group. And this investment funds, from IKEA for the development of sustainability set up by the 1 billion euros special fund. Over the past 20 years, IKEA has spent € 1.5 billion on renewable energy, and the project has been around the world. IKEA UK also achieved “zero waste landfill” in 2016. IKEA’s emphasis on sustainable development, in addition to its willingness to throw money research, but also reflected in its “If you do not let me environmental protection, I will divest” proud of personality. In January this year, IKEA on the latter with the British government trouble. British wind resources are of great commercial value and are one of the most suitable places for producing wind energy in the world. But we have to operate in a political environment that is so unfriendly to this resource. So, we decided to change the place (investment). We hope to see (British) change. In addition, she stressed that in the past 5 or 6 years, want to invest in renewable energy in the UK is getting harder and harder, like IKEA such large enterprises, really have the money to spend. 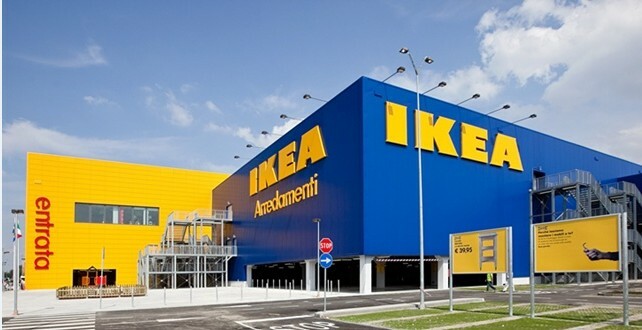 According to the “Huffington Post” statistics, with “I Big Nordic is to do a good job of environmental protection model work,” IKEA, has brought the world 327 wind turbines, and 700,000 solar panels installed in the shop and Distribution point on the roof.